Darcy & Lizzie. Please, come in my fb page who you can read a graphic fanfic about Darcy Point Of View! . 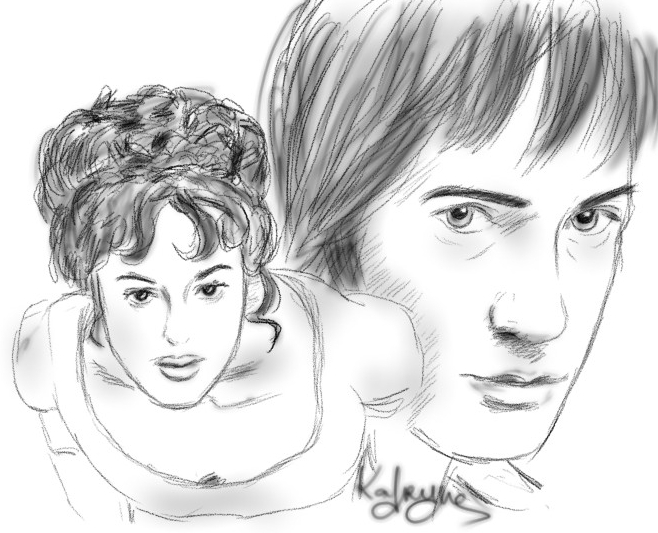 Wallpaper and background images in the Pride and Prejudice club tagged: pride and prejudice elizabeth bennet mr. darcy 2005 keira knightley matthew macfadyen drawing. This Pride and Prejudice fan art might contain portrait, headshot, and closeup.